Our Non Remy Grey Hair is an excellent variety that is used for adding a distinguished appeal to the wearerâ��s personality. 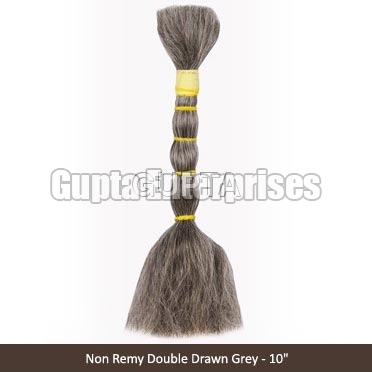 Non Remy Grey Hair that we provide is made using 100% natural human hair without using any synthetic elements. We make use of excellent quality bleach & pigments for colouring our Non Remy Grey Hair. We provide Non Remy Grey Hair in different lengths so as to suit the requirements of the clients.